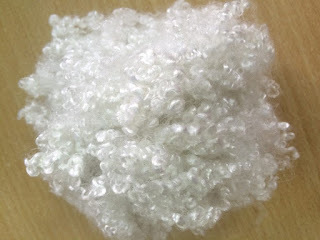 Polyester staple fiber (PSF) is a material mostly derived using polyethylene terephthalate (PET). It is known for being used as an insulation material in pillows and mattresses. Its tenacious nature and its resistance to light and other climes make it a sustainable material to be used in sofas, carpets, and other home furniture. The anti-dumping taxes levied by various countries to encourage domestic textile production may lead to stagnation in the industry. But initiatives such as the One Belt, One Road (OBOR) to promote trade between nations can lead to high investment by companies. In addition, recycling of plastic bottles to produce PSF in high volumes can keep raw material prices at a minimum. Major application segments of PSF include home furnishing, apparel, automotive, filtration, and others. The apparel segment accounted for a major market share in 2016 on account of high consumption rate of innerwear and active wear. The changing fashion trends can also influence the demand in this segment from 2014 to 2025. For instance, Fiber Industries LLC, a U.S. company decided to establish a second production facility in September 2017 in order to cater to consumer demand for cotton clothes. The home furnishing segment is expected to witness an uptick in demand due to low cost of PSF as compared to other fibers. The demand for environment-friendly fibers in specialty mattress can lead to growth opportunities for manufacturers in the segment. Toray Chemicals Korea has decided to integrate phosphorus flame retardants into their formula for PSF to make it fire-resistant. This material can be used in carpets, mats, curtains, and bedding. The polyester staple fiber (PSF) market is anticipated to reach a market capitalization of USD 39.3 billion by 2025, according to a report by Grand View Research, Inc. The high demand for environment-friendly materials by consumers is expected to drive market growth over the forecast period (2014-2025). The market demand is predicted to exhibit a 4.7% CAGR from 2017 to 2025. Demand for PSF from original equipment manufacturers in the automotive sector is expected to augur market demand. The application of PSF in other industries such as filtration, apparel, home furnishing, and construction and rise in expendable income of consumers are factors predicted to influence the market. Key market players include Bombay Dyeing; Toray Chemical Korea Inc.; Reliance Industries Limited (RIL); and China National Petroleum Corporation (CNPC).